Although quite inappropriate named ‘morning glory’ it’s named so because it definitely is the necessary starter to my day and without it I’m lost for energy.. So, I thought I’d share my secret little energy drink with you all. It’s easy, healthy and quick to make. So you can easily squeeze this in to your morning routine along with your normal breakfast. Peel and chop the banana and kiwi and add with all other ingredients and blend until smooth. It’s a completely adaptive recipe, so I normally add whatever fresh fruit takes my fancy. I also have this smoothie before i head off to the gym (with a bit of extra protein powder) and I find it gives me the necessary energy and protein required for a heavy workout. 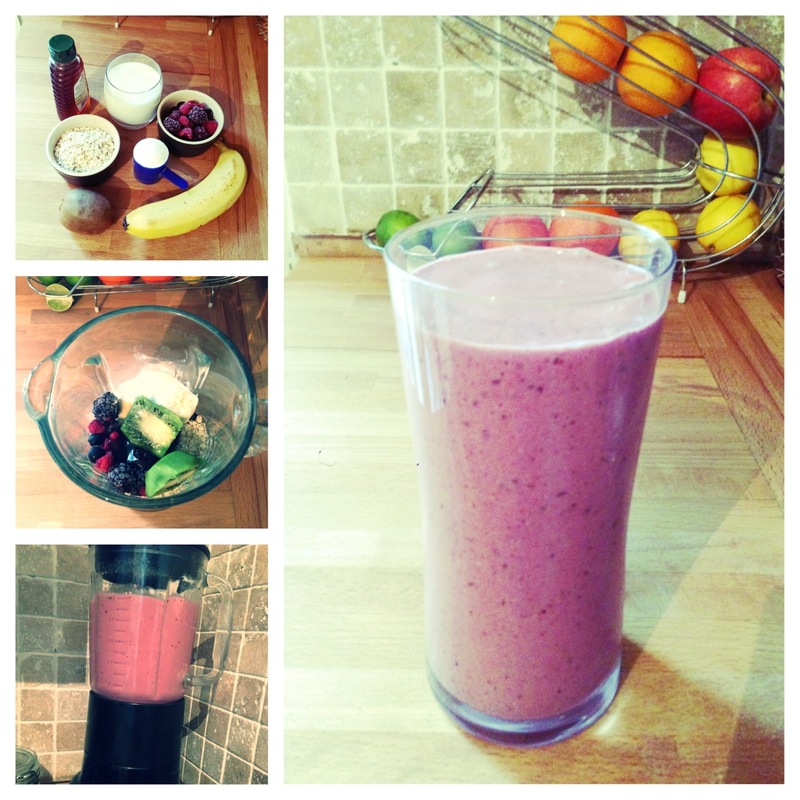 This entry was posted in Kitchen Creative and tagged berries, breakfast, exercise, fresh, glory, gym, healthy, Morning, protein, recipe, shake, smoothie by whysamiam. Bookmark the permalink. Yummy, I love a good smoothie. I am a morning smoothie guy, too. Never thought of adding rolled oats. Will check it out.